1 BR, Nonsmoking, Oceanview Condo at Papakea Resort-Enjoy Now. This outstanding one-bedroom, oceanview unit is located on the third floor of the fantastic Papakea Resort ('H' Building). 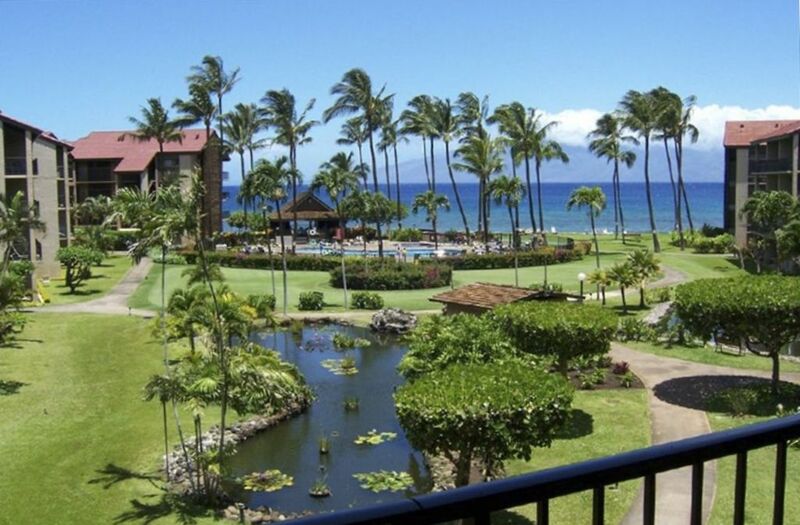 Papakea Resort is a beautifully landscaped, low-rise complex (4-story) on 13 acres that includes 2 swimming pools, 12 barbecues, 2 spas, 2 shuffleboards, 3 lighted tennis courts, 2 putting greens, and many more extras. Take a tour of the grounds and the condo in our pictures below. The condo is a honeymoon haven exclusively for two adults. There is a king-size bed in the bedroom, and the condo is equipped with everything that you will need. The unit was recently updated with wood flooring in the living room, new washer and dryer, furniture, and remodeled bathroom. A modern shopping center and restaurants are within walking distance, and the resort has an Activity Desk and concierge to take care of your every need.You can pre-book activities online to insure availability of popular outings during high season. There is a $17.00 a night for a resort fee. It is capped at 10 nights. The exterior of Building H has just been completely renovated so everything is bright and newly painted.